A unique partnership between development firm Samuels & Associates, arts organization GT Public, and the Rose Kennedy Greenway is bringing a dynamic contemporary public art installation to Boston. 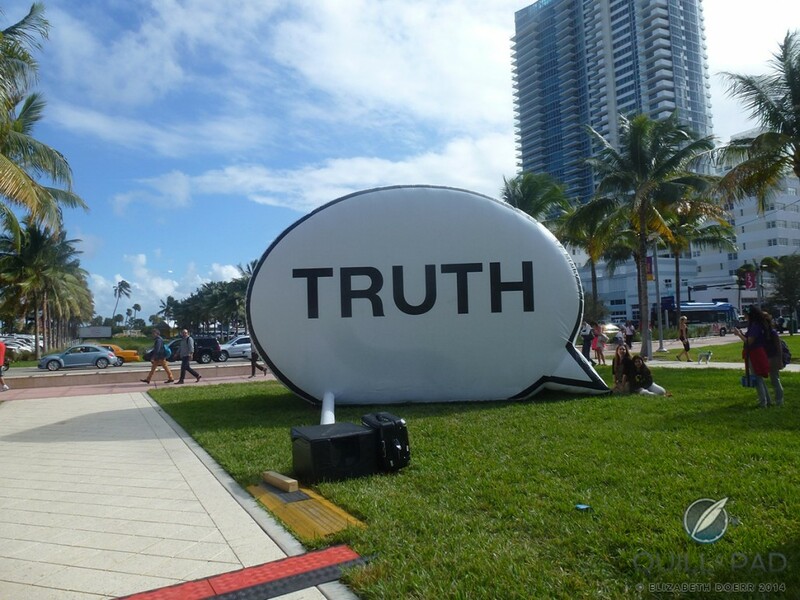 In Search of the Truth (The Truth Booth) is a portable inflatable booth that invites members of the public to complete the statement “The truth is…” from their own perspectives. The Truth Booth will be at the North End Parks on the Greenway from Wednesday, April 13 through Friday, April 15. Initiated in 2011, The Truth Booth is a multi-year collaboration between artists Hank Willis Thomas, Ryan Alexiev, Jim Ricks, and Will Sylvester of the Cause Collective. It is a thought provoking participatory experience that seeks to capture our definitions, confessions, and thoughts on ‘The Truth’, adding to a diverse portrait of people around the world. The recorded statements contribute to a growing global archive of collective social commentary. The partnership is made possible through GT Public, an arts organization in Boston dedicated to bringing innovative contemporary art projects and programs to public spaces through collaborative models, and the non-profit Greenway Conservancy. The Truth Booth will be on the Greenway April 13th – 15th from 12:00pm to 7:00pm. To learn more about the artists and The Cause Collective, visit their website, www.causecollective.com.